It’s simple really — at least in theory. You run a blog and want new material. Others out there want some new exposure. You offer would-be contributors a chance to share their material, and in return you get fresh content, expert insight. Maybe even a day off. But there are shadows behind the glossy exterior of guest blogging. What seems so simple can quickly turn into a hot mess. Because once you learn the right system to use with guest blogging, there are huge benefits available — and you never have to fear what Google might do to you. Guest blogging is a terrific means of generating fresh content on your blog. You allow fresh voices to blog on your behalf, and you grow more diverse with minimal effort. You may know a lot about your particular subject, but you certainly don’t know everything. In fact, you may learn something by offering your blog as a platform for others to share what they know. Guest blogging is also an opportunity to network within your community. You might accept guest blogs on your website or you might prepare some of your own. This opens up avenues for communication between the various websites in your niche (and even out of it), and also brings you quite a few fresh eyes from other popular websites. Guest blogging can boost your social media stake as well, since you now have a combined effort promoting and sharing material on your behalf. If you’re the guest blogger, you get visibility. You capture a new audience, build traffic for your own website, and gain new social followers as well. What’s not to like about the guest blogging model? This is one of the purest forms of marketing online — true collaboration and natural back links. Unfortunately, guest blogging isn’t always sunshine and roses. There is a dark side. Then they have the audacity to be offended when you don’t immediately post it! And many marketers who engage in “black hat” or rule-breaking SEO methods have long turned to guest blogging as a way to game the system. These unethical marketers are using guest blogging to manipulate the search engines and often don’t mind using illegal or spammy methods to reach their goals. And, of course, Google noticed. A few months ago, the head of Google’s Spam department, Matt Cutts, received the sort of nonsense emails that are generated by guest blogging spammers. Matt Cutts is one of the biggest names in the blogging industry, and someone dared to send him spammy messages offering shady guest blog posts? There should be hell to pay. Matt may seem like a friendly, personable guy (and he probably is if you’re not the one sending him spam), but the guest blog spam he received unleashed his own darker side. You may remember the tsunami of chaos Cutts generated in the blogosphere with his post on guest blogging and its ultimate demise. I am thrilled by the madness. It’s making everyone pay attention to the real problem here, which is that spammy guest blogging is just that: spam. By following those simple, over-arching guidelines, you can feel safe no matter what Google does in the future — because they are never going to turn their back on the kind of content their users want the most. Just be thoughtful with your links. The bottom line is this: Google doesn’t want you to engage in any unnatural link building practices. An example of this would be a guest blogger paying to post on a high-PageRank site for a link. In this situation, the site publishing the post should use the rel=”nofollow” attribute to properly classify the link and stay out of hot water. Google explains this right here. Is the guest blog quality high enough to read as high-quality and suitable for your audience? Do the links in the post follow normal, natural linking patterns? Does every link go to a site that is valuable and relevant to the audience for the post? 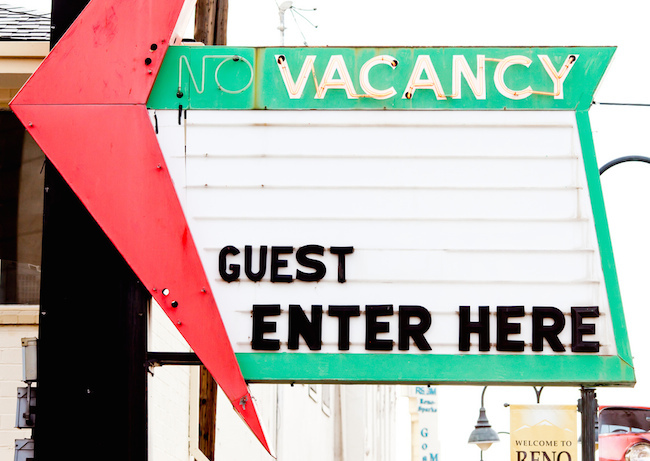 Guest posts, like all content marketing, must serve audience needs first. Any SEO value must flow from that. When Matt Cutts published his post initially, it had a different title that was designed to shock people into thinking about guest blogging. It worked. I had several emails from people asking if they should continue guest blogging. They didn’t want to wind up on the wrong side of Google after spending weeks perfecting a blog post. But then the title changed. Matt appeared to calm down. The world of guest blogging righted itself again. I run Guest Crew, a platform where blog owners and those looking to write guest posts come together. Like so many other platforms — forums, Skype, Google — this is a way to meet people and do business together. It’s all in how you use it. We’ve been approached by users multiple times suggesting that we make our system all “nofollow.” Then all guest posting problems would be solved, right? There is a big problem with that method: We don’t want to tell other people what they can and can’t do. We aren’t Google. And the industry appears to respect this decision. Since Matt’s rant about guest posts, Guest Crew saw a 719 percent increase in membership. Everyone is buzzing about guest blogging. But it’s not just links and spam being discussed. People are starting to realize that there is more to guest posting than just linking strategies. “Nofollow” links are getting some serious consideration as well, because even if they don’t provide an SEO benefit, they can still help you build the audience that will build your business. Guest blogging is definitely not dead, and it may see considerable improvement in 2014. Content quality. When I do a guest post — I check and re-check the material. It must be perfect before I send it out. Does the material fit the audience? Does it entertain and inform? Is my message clear and fitting for my host website? Check backlinks. Looking a little suspicious? Use “nofollow” links if necessary to keep the intent pure. Better yet, remove a link to any site you aren’t proud of. Focus on social networking. Build up your social following with guest blogging. G+ authorship is easy to claim and then add links to your Twitter and Facebook. This builds the social aspect and maximizes your guest post potential. Get mentions from media sites. When media members talk about you, you not only get links, but the mentions can build up status and reputation as well. Change the term. We use “guest blogger,” but why not try “contributor”? Arrange for your regular “contributors” to update your blog routinely — perhaps once a month or so. Infographics. Score some visual appeal with guest post infographics. Not only are these fun to look at and eye-catching on a website, they also broaden the field of guest blogging to designers who aren’t as strong with long written posts. Get links in the article body. Links in the body of the text are more natural, for both readers and search engines. Focus on strong sites. Post on high-quality websites and your credibility rises. Post on enough big names and you’ll soon become a big name in your own right. Write in the voice of the intended audience This may require hiring a native English writer to handle your guest blogging or editing. So there it is. The good and the bad of guest posting. Focus on content quality and being useful to an audience — with the long-game in mind — and you’ll be rewarded (as you always have been). Plus you’ll never have to fear Google. Try and shortcut or cheat the system, however, and you can expect to feel the Wrath of Cutts — with the full power of Google backing him up. How has your guest blogging experience or strategy evolved — either from the writer or publisher side? Do you still view guest blogging favorably? Or has any of the negative chatter soured you on it? We’d love to hear your thoughts. Join the discussion over at Google-Plus. If you found this article useful, check out this post by Sonia: The Essentials of Guest-Blogging Strategy for SEO, Traffic, and Audience-Building. Uttoran Sen is a content marketer and a social media expert. He is the CEO and Founder of Guest Crew. Follow him on Twitter and Facebook.